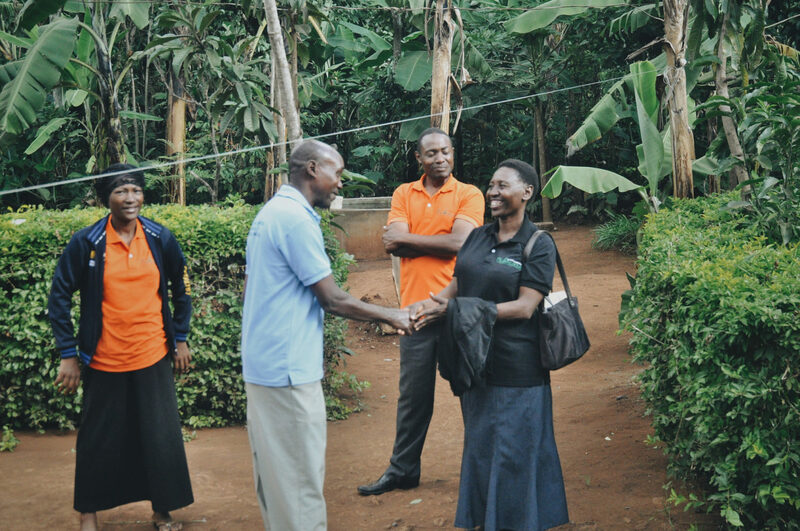 These offices work to develop even more local leaders by equipping local organizers from participating villages and training church leaders to be on the front lines of promoting sustainable agriculture in each community. Paternalism has been one of charity’s biggest problems. So many people with the desire to help others ultimately do more harm. While the desire to help is a very good thing that has been planted in each of our hearts, paternalism is what happens when that desire becomes twisted by a sense of self-importance. Paternalism is an act of help or giving that ultimately reinforces the recipient’s inferiority and lack of self-esteem. It can take many forms, like failing to listen to locals, failing to trust in the ability of local leaders, or giving with conditions that undermine their abilities. Empowering local leaders has been key in allowing our work to be an effort of mutuality. National staff members from Tanzania visit a program site in the country’s rural areas. Creating dependency causes more problems, empowering people causes hope. In some areas, well-intentioned efforts often inhibit locals from applying their own gifts. For example, many Haitian communities have received donated clothing so regularly that if a local had an interest in starting a clothing business, there would be no demand for his or her product which is readily available for free. This keeps that village in a state of dependency, with little opportunity for local innovation to emerge. Down to the village level, Plant With Purpose focuses on developing leaders. Small community savings groups elect their own officers. Local pastors are equipped to guide their churches through creation care. Motivated participants are also given the opportunity to become advocates. We hear regularly how this has instilled many with a newfound sense of agency. 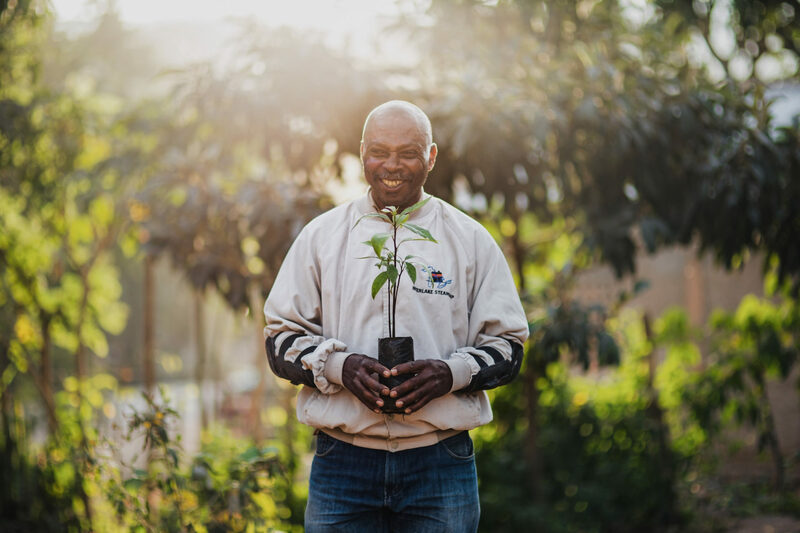 Plant With Purpose’s long term vision is for change to be in the hands of the community. As communities’ time of participation grows longer, they begin to move towards graduation. At that point they will no longer need Plant With Purpose, but can then become an advocate for change in neighboring villages. This is one way to ensure we pursue transformation rather than simple organization growth. 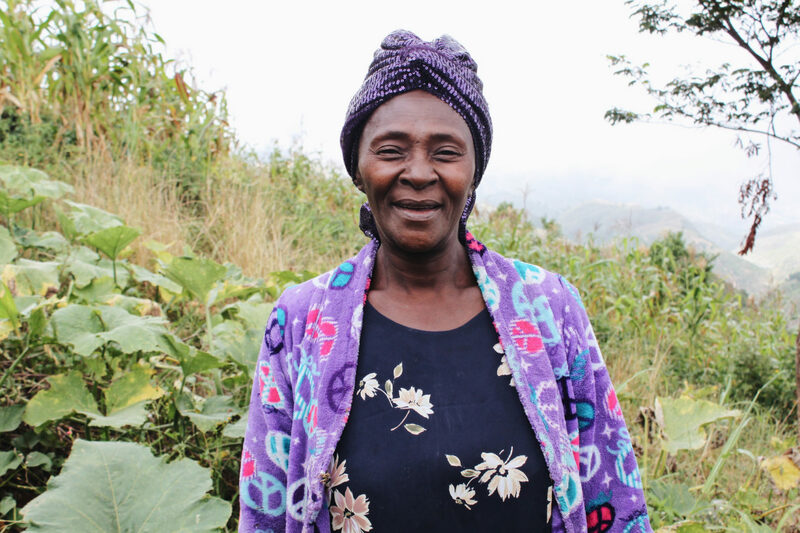 Dieula shares a smile from her farm in Haiti. Everyone has the right to be generous. One thing we’ve learned from the communities we work in is that Western audiences often think of poverty as a material lack. It is also a psychological and spiritual condition. Plant With Purpose continues to seek the empowerment of locals. We have already trained leaders of over 1,200 community savings groups as well as pastors of over 500 churches. To learn more about the communities where we work, visit here, or consider becoming a Purpose Partner.